We collect, service, then deliver – all on the same day! 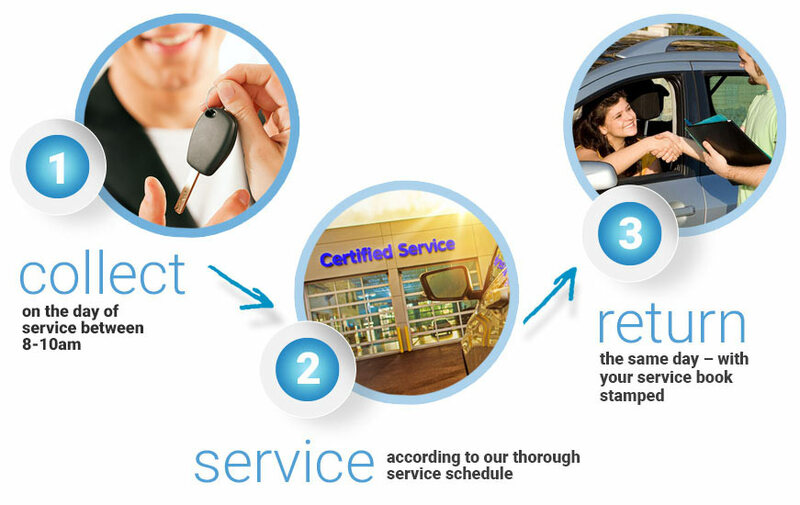 Servicing Stop is here to make the process of having a car service hassle free, convenient and cost effective. No need to worry about dealing with a garage, or negotiating the service cost and work, just book your car service with us and we will make sure everything is taken care for you. No need to worry about dealing with a garage. You can call FREE or book online. One of our advisors will then book in your car service on a date convenient to you. Your car service will be performed by an approved Servicing Stop garage according to our thorough service schedule. If any additional work is required, one of our advisors will always seek prior authorisation from you before any work is done. The work is only carried out if you agree to the additional cost and work. Each car service is carried out by qualified mechanics and technicians using the latest equipment. Every car service with us is covered by a 12 month parts and labour guarantee. We'll contact you after your car service has been completed. Our website uses the most up to date security measures to ensure all payments are processed securely and efficiently. We return your vehicle the same day, to your home or work for FREE!